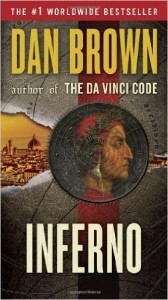 Kait, Renata, and their guest, actual scientist Sarah (@allthatihavemet, @sarahnbay) read Inferno by Dan Brown. It’s the fourth book about Robert Langdon, and probably the only one where he faces a problem that cannot be solved with symbology alone and must ally with the World Health Organization. We struggle to comprehend all of the book’s double, triple, and even quadruple crosses. Listen now to hear Sarah explain why Dan Brown should have talked to a geneticist before trying to write about genetics! Candy pairing: Kait says unidentified Asian supermarket candy, Renata says cotton candy Italian ice, Sarah says black licorice. Coming up next: Black Hills by Nora Roberts.